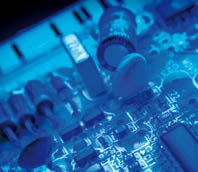 Improving the Performance and Working Life of PCBs. Conformal coating is a protective film of typically 25-75µm thick applied to printed circuit boards to protect against environmental contamination and damage which conforms to the shape of the populated PCB. With electronic systems being used in many different environments where there are chances of chemical contamination such as fuels, coolants, cleaning fluids, and moisture such as in high humidity atmospheres or electronics exposed to salt spray - complex and costly PCBs need to be protected. > Provide good pricing with a good all round protection. > Offer excellent humidity & salt mist protection. > Easy to apply, remove and dry quickly at room temperature. > Wide operating temperature range. > Excellent adhesion to a variety of substrates. > Provide Outstanding protection in harsh environments. > Offer Excellent chemical and abrasion resistance. > Maintain flexibility even at low temperatures. Conformal coatings can be applied either manually or automatic. The method used is dependent on the coating and volume of PCB's processed. Solvent based conformal coatings cure by solvent evaporation over a period of time (typically around 24 hours) dependent on the thickness of the coating. The thicker the coating the longer it will take the solvents to evaporate. The cure process of solvent based coatings can be accelerated using a heat source set to specific temperatures and lengths of time (dependent on the conformal coating type). For Acrylic coatings the heat cure process only accelerates the process, and will not change the protective qualities of the coatings. For other coatings however, the heating of the coating can affect the protective qualities, so this is a factor to consider before applying a heat source. Conformal coatings need to pass specific tests in order to be used in environments such as Automotive or Military applications. This standard was intended to be a replacement of MIL-I-46058C when it became inactive for new designs in 1998. The specification mirrors many of the performance and acceptance criteria, including the test methods as laid out in the MIL-I-46058C, therefore, all materials qualified to MIL-I-46058C automatically meet the requirements of IPC-CC-830B. Military Insulating Compound has been inactive for new designs since 1998, however it is a standard still required by many military consultants. At Chiltern Connections we advise customers in the automotive, defence, marine, lighting & LED, renewable energy and wearable technologies industries of the most suitable conformal coatings for their particular application. In addition, we provide in-house sub-contracting coating services at our state of the art coating facilities applying their required coatings. To find out which coating would best suit your needs, most effective application method and cost, Contact Us or call 01491824788 where we can provide you with the solution. Chiltern Connections provides a comprehensive range of high-quality products and services used in a number of different industries worldwide. We take pride in our service by providing full technical support and advice before and after sales. Why not give us a try today and benefit from the value Chiltern Connections can bring to your business?